With compassion, love and hope, Lutheran Social Services has served in communities to help underserved children, disadvantaged families, homeless, the abused, elderly and developmentally challenged. Some of their services include: counseling, emergency services, job training, transitional housing, help for the elderly, utility assistance, veteran aid, family services, financial guidance, and more. 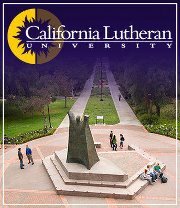 California Lutheran University (CLU) offers undergraduate, graduate and continuing education programs through its College of Arts and Sciences, School of Management and Graduate School of Education. The University offers 37 majors and 31 minors, in addition to professional preparation programs in specified fields of study. Manna is our Conejo Valley food bank. While its primary purpose is feeding people, Manna also works in unison with many organizations to help people in difficult situations get back on their feet. By getting to know its clients, Manna can direct them towards other groups who can continue to care for them, and give them even more tools to rebuild their lives. Ascension’s twice-a-year “Project Response” food drive also greatly helps Manna with food supplies. Since 1979, Many Mansions has provided well-managed, service-enriched, affordable housing to low-income residents of Ventura County and its surrounding communities. By providing decent housing and life-enriching services to those most in need, they aim to break the cycle of poverty and remove the barriers that prevent members of our community from having a basic need met—a roof over their head. The mission of Right Road Kids!™, through all its work and programs, is to inspire and work with children in life-changing ways that build their self-esteem, character, confidence, talents, and life-skills AND to provide help, guidance, and tools for them to find and travel their Right Roads in school and in life. Senior Concerns programs offer supportive resources that enable seniors to remain as independent as possible for as long as possible. This is achieved by providing essential information, answers to complex questions, care management, meals on wheels, a respite day program, support groups and many other educational and outreach programs. They impact lives positively in both financial and human ways. 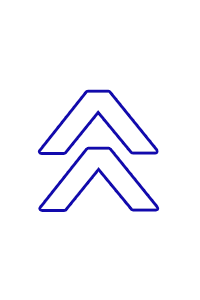 ACTION was borne out of a desire to network churches, agencies and businesses together to collectively serve the ever increasing level of needs throughout our community. Today, over 80 churches, numerous agencies and many firms in the business community support this fledgling non-profit 501(c)3 organization which engages thousands of volunteers to serve on hundreds of projects as followers of Christ. ACTION focuses primarily on seniors, disabled residents, under resourced families, the homeless and at-risk youth. 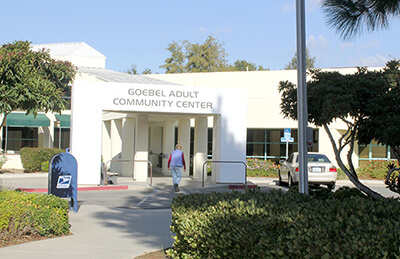 The original Goebel Senior Adult Center, named after Louis Goebel, opened in 1975 on part of the site used by the famous Goebel’s Jungleland. The property was a generous donation to the City of Thousand Oaks by the Louis Goebel family. Prior to opening, a Joint Powers Agreement between the City of Thousand Oaks and the Conejo Recreation and Parks District authorized the District to operate the Center. Today, the more spacious and modern Center located on Janss Road offers classes, special events, excursions, and drop-in programs for senior adults. It is a full service 21,000-square foot facility with meeting rooms, restrooms, kitchen, billiards room, putting green, and horseshoe pits.